Andrew Russell was a New Zealand military leader in the First World War, known for his meticulous planning. Born in Napier, Andrew Russell was educated in England, first at Harrow School and then at the Royal Military College, Sandhurst, as was family tradition. After serving for five years in India and Burma, Russell left the 1st Border Regiment to return to New Zealand and farm sheep with his uncle, William Russell. In 1900, whilst still farming, he formed and commanded the Hawke's Bay Mounted Rifle Volunteers. In 1911 Russell was appointed commander of the Wellington Mounted Rifles Brigade. In 1914, upon the formation of the New Zealand Expeditionary Force, Russell was given command of the New Zealand Mounted Rifles Brigade and sailed to Egypt. Six months later the brigade landed at Gallipoli, without their horses, as infantrymen. Russell’s men were instrumental in the seizure of Chunuk Bair, clearing Ottoman outposts and opening the way for an infantry advance. For his efforts at Gallipoli, Russell was knighted in 1915. In 1916 Russell took control of the New Zealand Division in France. He was a front-line general, seen to take personal risks. 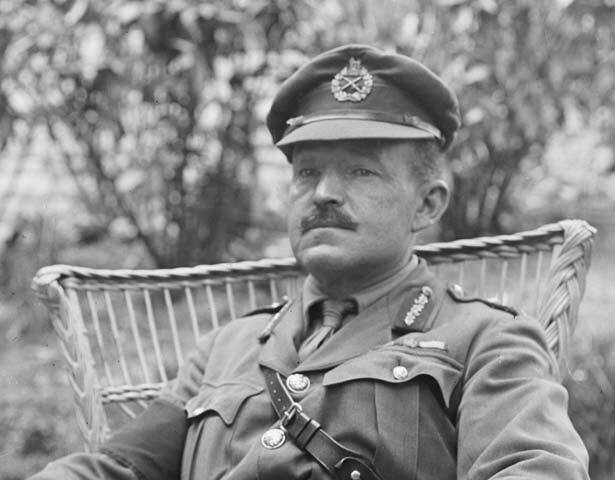 The New Zealand Division became one of the best fighting divisions in France, due largely to Russell’s insistence upon daily inspections, zealous discipline and efficient administration. The New Zealand Division were involved in the third battle of the Somme in 1916, and, in June 1917, they were tasked with capturing the town of Messines (Mesen) in Flanders. Russell’s aggressive strategy resulted in the seizure of the town, but their concentration in ‘an awkward salient’ led to nearly 3700 New Zealand casualties, including 700 deaths. After the war, Russell was president of the New Zealand Returned Soldiers’ Association for more than a decade. He lived on his sheep station at Tunanui until his death at the age of 92. Russell's military achievements were recognised with a CB in 1916 and, in 1917, a KCB. He was awarded the French Légion d'honneur (croix d'officier) and Croix de guerre (avec palme), the Belgian Ordre de Léopold (commander) and Croix de guerre, the Serbian Order of the White Eagle (first class) and the Montenegrin Order of Danilo. We have 20 biographies, 40 articles, related to Andrew Hamilton Russell.